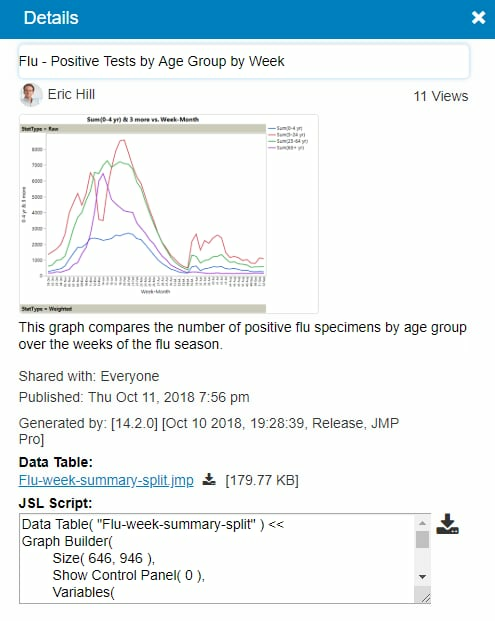 Create visualizations with your data in JMP and share your analyses with others using JMP Public. 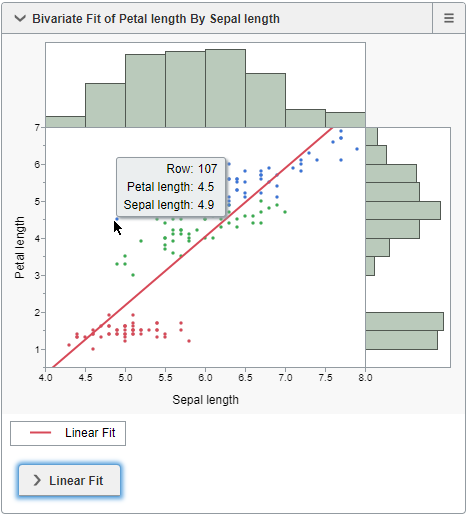 Anyone viewing these posts has the interactive capabilities of JMP to explore your data. Publish JMP reports as posts in JMP Public. See all your posts and posts for anyone you’re following. Click Home > My Dashboard. See all JMP Public posts. Click Home > All Posts. Interact with JMP Public posts. Find or follow people or find posts. See Find People or Posts. See posts that highlight interesting analyses that have broad appeal. Change the layout of posts. Under Home, click Block or List. If you are not signed in to JMP Public, you see only featured posts. If you want to publish or share posts, or follow people, you need to sign in. In a Chrome browser, go to https://public.jmp.com. At the top right, click Sign in. If you already have a SAS profile, log on using those credentials, then click Submit. Click Register. Complete the form and click Create profile. Follow the instructions in the email to set your password and activate your profile. (Optional) To change your profile name or picture, once you are signed in to JMP Public, click your name and select My Profile > Edit. Once you register, you can publish JMP 14.2 reports as posts in JMP Public. Create your reports in JMP and then click File > Publish. For more details, see Using JMP. Note: If you choose to make your reports private (shared with Only Me), an orange lock icon appears on the report in JMP Public. From Home > My Dashboard or All Posts, click a post to open it. If there is only one post, it opens directly. If there are several posts, click the one you want to see. To see values for a data point in a graph, place your cursor over or tap a point. To see a description of values in a report, place your cursor over or tap a value. To open or close a report in a post, click or tap a report title. To change the marker size in a graph, from the menu at top right, choose an option. 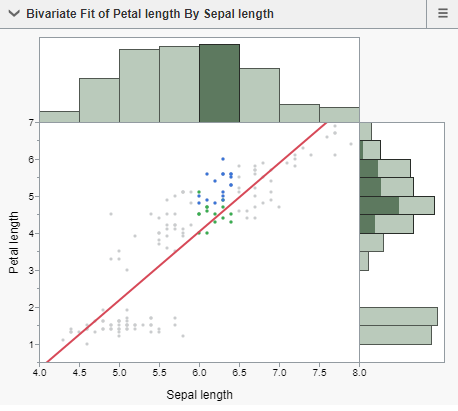 Select a single object, such as a data point or a histogram bar. 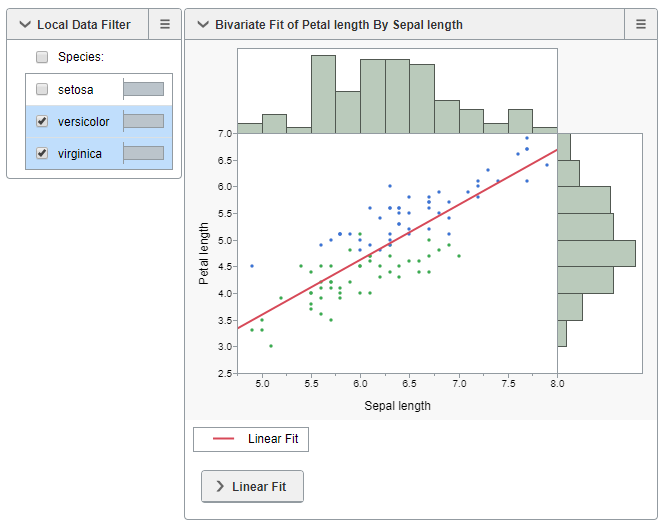 Select multiple objects, such as several data points or several histogram bars. See details for a data point without selecting it. Select objects by dragging a rectangle around them. In all graphs, selected rows are linked. To select rows, click or tap any data in a graph (such as a marker or histogram bar). In this example, a histogram bar is selected, and the corresponding rows are highlighted in all three graphs. Once you have selected data, you can exclude it from report calculations and hide it in graphs. Reports and graphs automatically update. Exclude and Hide Selected Rows: Excludes and hides selected data. Include and Show All Rows: Includes and shows any excluded or hidden data. Invert Row Selection: Changes the current selection to the deselected data. Display Log Messages: Shows messages from the server and any unexpected conditions from the client. If the original JMP report included a Local Data Filter, it appears in the JMP Public post. Use Local Data Filters to filter and focus on specific data in a report. You can change filter settings to see the impact on reports and graphs. Invert filter: Inverts the currently selected filters. Select filtered rows in graphs: Selects all filtered rows in graphs. Show filtered rows in graphs: Includes all filtered rows in graphs. Include filtered rows in calculations: Adds any excluded rows back into the report calculations. To get more information about a post, at the top right, click . 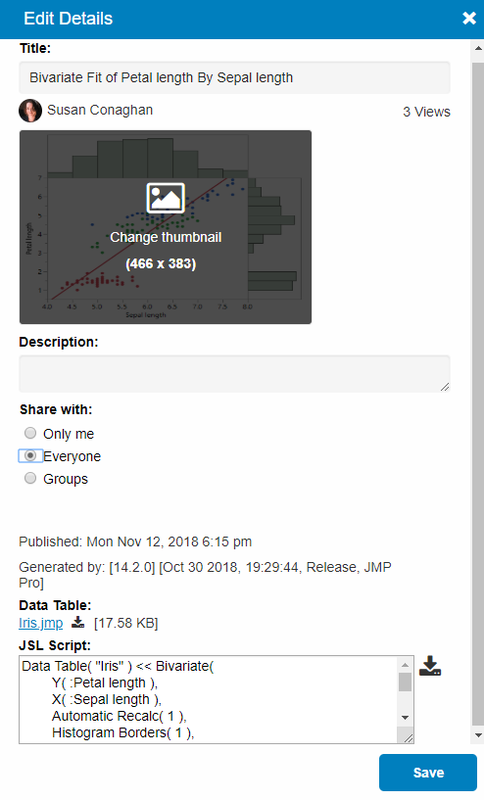 You can see who created the post, how many people have viewed it, and what version of JMP created it. You can download the associated data table(s) and the JSL script that re-creates the post. To change a post that you created, at the top right, click . To delete a post that you created, at the top right, click > Delete. Click OK in the confirmation window. 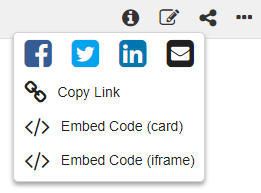 Before you can share a post using email or social media, you must select Everyone for the Shared with option in JMP during publishing. To share a post, at the top right, click . To flag a post or user profile that you believe contains inappropriate content, click > Flag as inappropriate or Report user. JMP administrators determine whether the post or user profile should be hidden or removed. The owner of a flagged post or the flagged user is notified via email. If the JMP administrator decides to hide the flagged post or user profile from JMP Public, they are informed and can attempt to fix the problem. To search all of JMP Public, enter a user name or keyword in the search box at top right. To search using filters, go to Home > My Dashboard or All Posts and enter text in the Find user and Find boxes. See Use Filters. To follow someone, click their name and then click Follow. Their posts now appear under My Dashboard. Depending on where you want to search, go to Home > My Dashboard or All Posts. To find a person and all their posts, enter part or all their user name in the Find user box. Suggestions appear as you type. To search by a keyword in a post title, enter a word into the Find box. (Optional) You can refine your search by restricting the date or by limiting it to a certain group. (Optional) To clear your search, click the x next to a user name, or clear other fields by clicking Clear All. At the top right, click your name > My Profile. Next to your name, click Edit. Change your picture, display name, or password.